Located in a covered passage, appropriately called “Le Passage,” in the Saint-Ouen flea market, Sarah Rozenbaum’s vintage clothing store stretches along three-quarters of a city block. 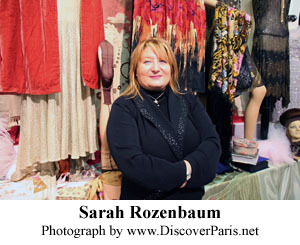 Read about her passion for 20th century apparel in this month's Paris Insights newsletter. 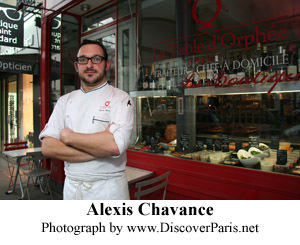 Alexis Chavance is chef of La Table d'Orphée. We came here for lunch recently and then returned to learn about his talent for creative cooking. Read our review in this month's Le Bon Goût. A presentation of sumptuous European fashion from 1700 to 1915 has opened at the Musée des Arts Décoratifs in Paris and will run until April 14, 2013. Read about this extraordinary exhibit in this month's Paris, Past and Present.